Since 1949, Kirkman® has developed and manufactured high quality supplements for children, adults and individuals with special needs, allergies and sensitivities. Their mission statement remains to provide unique and effective products that are designed to have a positive impact on the health and wellness of individuals with special sensitivities and dietary requirements. As such, Kirkman® maintains the highest level of scientific excellence in the research and development of their formulas. As a pharmaceutical and nutraceutical company, all Kirkman® products are manufactured in their own cGMP and NSF certified facility in compliance with the highest industry, regulatory and extensive internal standards. 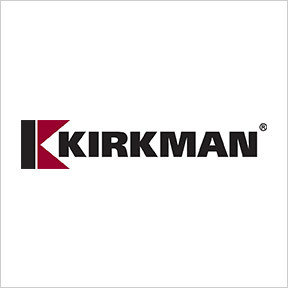 Kirkman’s Ultra Tested® products are tested for more than 950 environmental contaminants, including pesticides, insecticides, fungicides, herbicides, biocides, endocrine disruptors, heavy metals and other harmful chemicals. Premium raw materials are tested for quality, potency, identity, safety, purity and stability, as well as casein, gluten, soy and other potential allergens. Advanced Adult Multi-Vitamin/Mineral: This comprehensive hypoallergenic formula provides highly bioavailable forms of 12 vitamins and 8 minerals in the amounts supported by the latest scientific studies in support of general good health. Free of sugar, starch, soy, wheat, casein, gluten, milk, eggs, preservatives, yeast, flavorings, colorings, peanuts and tree nuts. 60 to 90 Advanced Eye Care Support: This specially formulated eye care product is specifically designed with clinically proven ingredients in support of senior vision health. Free of sucrose, sugar, starch, wheat, casein, gluten, milk, corn, eggs, yeast, flavorings, colorings, peanuts, tree nuts and fish. 60 to 90 Men’s Multi-Vitamin & Mineral Boost: Specifically formulated for senior men, this product provides a comprehensive blend of vitamins, minerals and nutrients known for their anti-aging properties, as well as hormonal balance, and the maintenance of cardiac, cellular, prostate, immune, muscle and bone health. Free of sugar, starch, soy, wheat, casein, gluten, milk, eggs, yeast, flavorings, colorings, peanuts and tree nuts. 60 to 90 Women’s Multi-Vitamin & Mineral Boost: Formulated to meet the nutritional requirements of senior women, this product provides a comprehensive blend of vitamins and minerals in support of strong foundational health. Included are nutrients known for their anti-aging properties, as well as the maintenance of cardiac, cellular, immune, urinary tract, muscle and bone health. Free of sugar, starch, soy, wheat, casein, gluten, milk, eggs, yeast, flavorings, colorings, peanuts and tree nuts. Children’s Chewable Multi-Vitamin Mineral Wafers with Xylitol: These chewable wafers offer higher potency bioavailable vitamins, minerals, trace minerals and CoQ10 in support of children’s overall good health. Natural mango/peach flavor. Free of soy, wheat, casein, gluten, milk, eggs, yeast, peanuts, tree nuts and artificial flavorings, colorings and sweeteners.